At TP Mechanical, we believe that our business success is a blessing, which motivates us to share that by giving back to our community. Our commitment to outreach includes developing and providing services within the community. If there are unmet needs, TP Mechanical wants to be there to help. 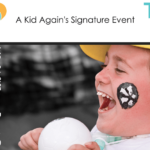 TP Mechanical served as a Healing Sponsor for the A Kid Again 2016 Timeout event held on May 7, 2016. For one evening, the community gathers to celebrate children battling a life-threatening illness and their families. The A Kid Again organization exists to foster hope, happiness and healing for families raising kids with life threatening illnesses. To learn more about the organization, visit akidagain.org. TP Mechanical joined the American Heart Association’s Heart Walk on March 12, 2016 to take a stand against heart disease. Thank you for helping us raise $3,399 for this great cause. 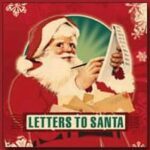 Cincinnati helped the United States Post Office Operation Letters to Santa program. Gina Lewis will supply the items needed from each letter. The gifts must be wrapped in a box and ready to be mailed. Please contact Gina Lewis at 513-851-8881 or gina.lewis@tpmechanical.com for information how to help. 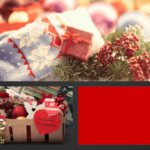 Starting December 1 and will run until December 14. Columbus is helping the Ronald McDonald House Charities of Central Ohio and Nationwide Children’s Hospital. Nationwide Children’s Hospital collects toys off an approved gift list. Please look for the list in your email from Kim. Please start sending donations starting December 1 and will run until December 14. TP Mechanical is proud to once again be part of team Construction Cares with Messer and ACI to support the Leukemia & Lymphoma Society Light the Night Walk. Find out more about this event by visiting LLS page. TP Mechanical joined the American Heart Association’s Heart Walk on March 15, 2015 to take a stand against heart disease. Thank you for helping us surpass our company goal of raising $2,500. On April 14 & 16th, 2015 – TP Mechanical completed their annual blood drive. Through our Cincinnati and Columbus blood drives, we were able to 38 life saving units. Thank you to everyone that participated. TP Mechanical hosted its annual gala on February 7, 2015 at the Hilton in Downtown Lexington, Kentucky. This year’s gala featured a Monte Carlo Night to benefit The Ronald McDonald House Charities of the Bluegrass. 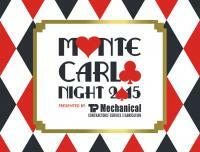 For more information about this event visit us at Monte Carlo Night 2015. TP Mechanical joined Messer and ACI this year for “Construction Cares.” This year, we helped raise $3,901 of the $10,00 goal. 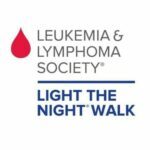 In total, $15,130 was raised for the Leukemia & Lymphoma Society (LLS) during the Light the Night Walk. Most people are just a relationship away from being impacted by a blood cancer. Construction Cares looks to bring together employees from local construction companies, subcontractors and suppliers who want to grow their professional networks while supporting this personal cause. participated in a Christmas toy donation drive for St. Joseph Orphanage. All the toys donated were directly distributed to the children that St. Joseph serves in Cincinnati, Ohio. Our employees really stepped forward and ran with this toy drive. Attached is the letter from St. Joseph Orphanage to our TP Mechanical Team. On August, 24th – TP Mechanical teamed up with Messer Construction for the Heart Walk. Community members and survivors participated in a non-competitve walk throughout downtown Columbus. Over $10,000 was raised during the event. TP Mechanical gives generously to the local chapter of the American Heart Association.